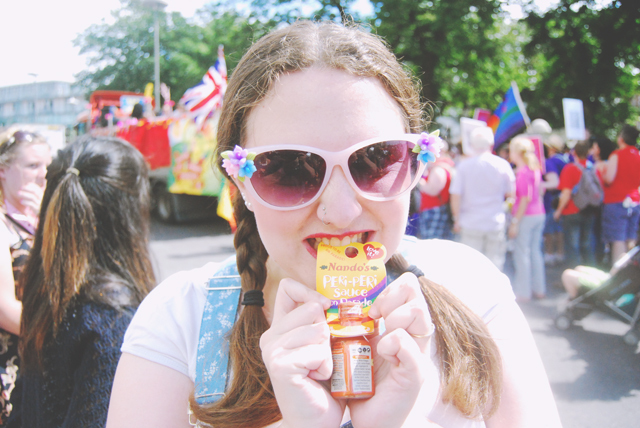 This is a completely irrelevant photo of me biting Nando's sauce. When I started offering sponsorships, I made a little survey to get an understanding of my readers and what they look for in my blog. I found it really helpful but, as that was about 2 years ago now, the results are a little out of date. I thought it might be useful to introduce an annual survey, so I can get feedback from the lovely people who read this here blog and create more of the content you want to see. The survey will take about 5-10 minutes to complete and the results will be invaluable to helping me improve Becky Bedbug. Unfortunately, I ran out of questions before I got a chance to add the obligatory "Any other comments" box. So if you have any other comments, suggestions or feedback, just leave a comment on this post for me. Thank you! This is a great idea. Think I'll make one for my own blog as well!